Welcome to all of our Cigar Aficionado visitors. You can enter to win your box of Herrera Esteli Piramide Fino below. Good luck to you all! Liga Privada No. 9 Corona Doble Giveaway! Looking forward to trying Willy’s new Estili blend! Hey Gary..I was handed one of the Herrera Estelli Figurados while working in Kansas last month. I took it home and wondered what this no name cigar that I haven’t heard about yet was all about. I was immediately knocked for a loop….This cigar paired with my Balvenie 14yr old Single Malt Scotch was AWESOME! Closing my eyes I would have bet $$ that I was smoking a Cuban Cohiba or maybe a Partagas. 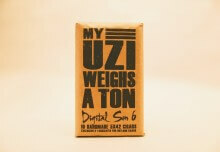 The Drew Estate gang definitely did the right thing bringing this new cigar into their camp. Anyone out there needs to try this cigar if they come across it…I spent the entire time smoking this cigar while searching on the internet who this “Herrera Estelli” was…I was pleasantly surprised.. Great cigar Drew Estate!! I still haven’t had the opportunity to try these cigars yet and so it would be a treat to win a box of ’em and also be able to share a few sticks with some friends to enjoy also. 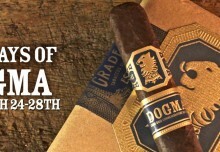 Thank you JD and the cool cats at Drew Estate for the contest, I salute you all. If you haven’t tried this cigar your missing out on an awesome blend..Willy and Drew Estates gang done another fantastic cigar!!!! 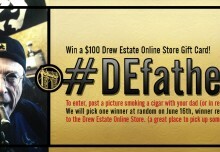 I love Drew Estates cigars and I’m looking forward to trying the Esteli. I have particularly enjoyed the Dirt Torpedo and Natural Torpedo even more than the Kuba Kuba’s. All are excellent and superior quality.